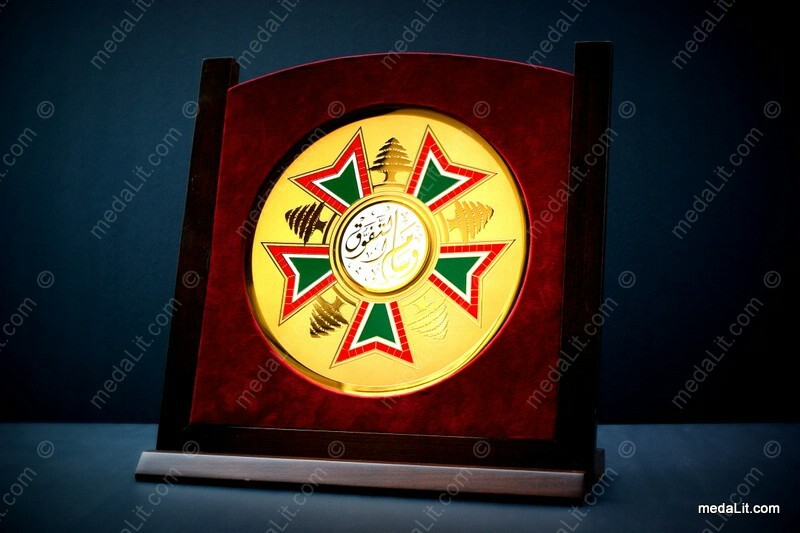 Our Medallion plaques are characterized by majestic look and large size (up to 320 mm) circular shape giving the impression of a giant medal, in addition they offer very precise high quality personalized engraving. Cut from thick brass sheets and gold-plated, they have a highlighted finish (reversed proof) to produce a very luxurious look. The design elements can be engraved either in recess or in relief on the plaque. The plaques are mounted on a wooden stand covered with velvet. Packed in a luxury wooden box with interior covered with the velvet. The color of the wooden frame of the box is vengé (very dark brown). True 24 karat gold plated.